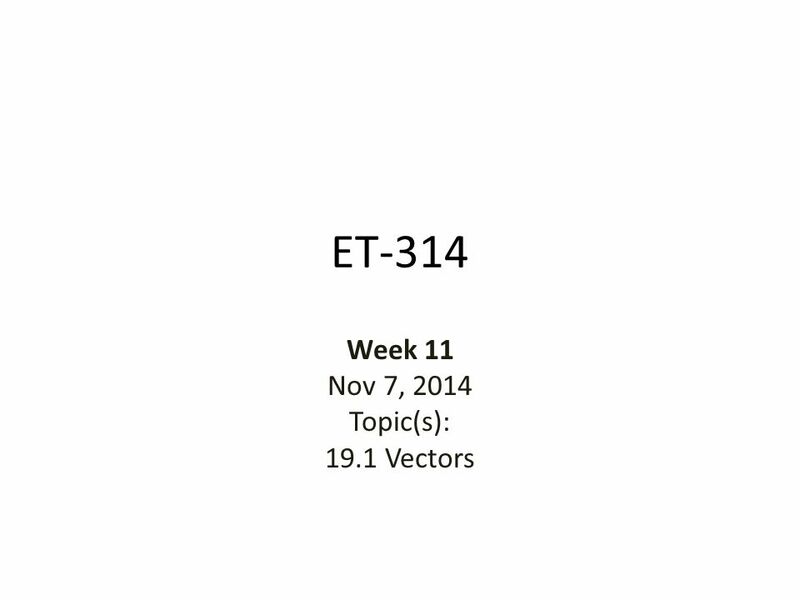 ET-314 Week 11 Nov 7, 2014 Topic(s): 19.1 Vectors. 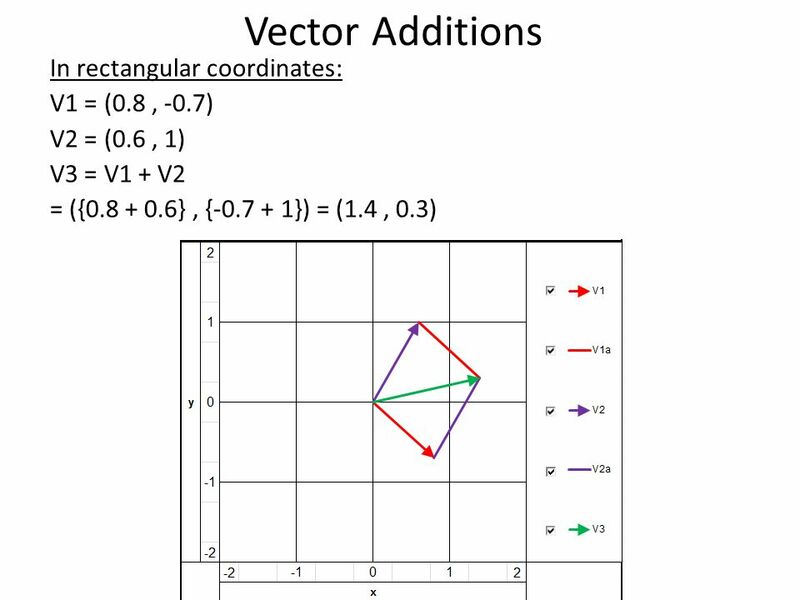 Download ppt "ET-314 Week 11 Nov 7, 2014 Topic(s): 19.1 Vectors." 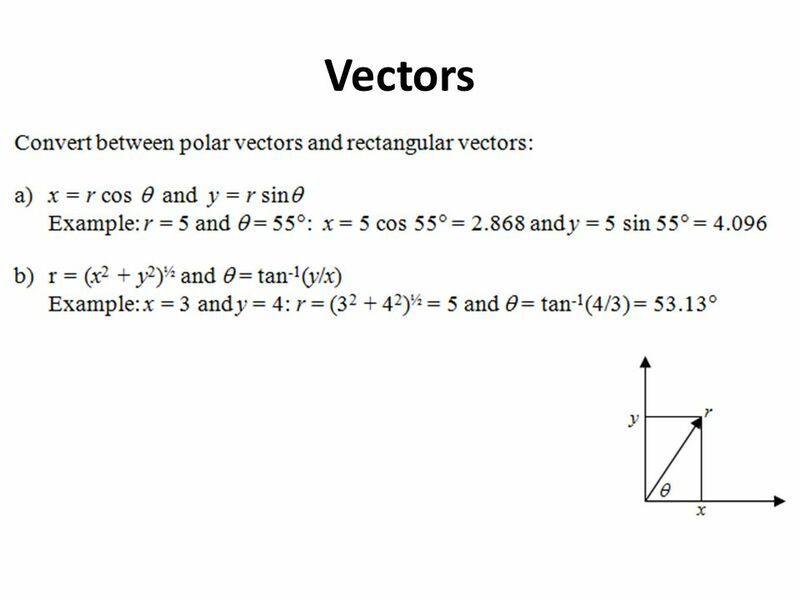 Polaris Coordinates of a Vector How can we represent a vector? -We plot an arrow: the length proportional to magnitude of vector the line represents the. 8.3 THE COMPLEX PLANE & DEMOIVRE’S THEOREM Precalculus. 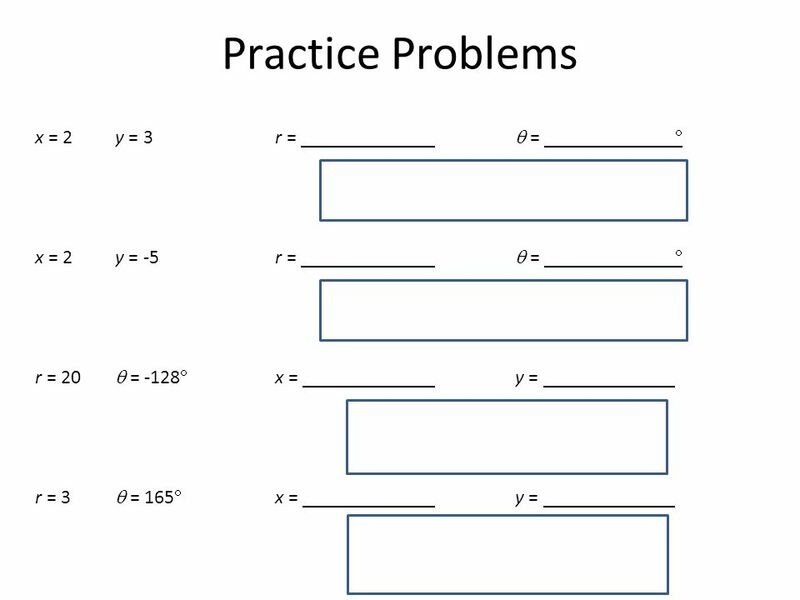 Trig Graphs. y = sin x y = cos x y = tan x y = sin x + 2. 1 Special Angle Values. 2 Directions A slide will appear showing a trig function with a special angle. Work out the answer Hit the down arrow to check. 1 Special Angle Values DEGREES. 2 Directions A slide will appear showing a trig function with a special angle. Say the value aloud before the computer. 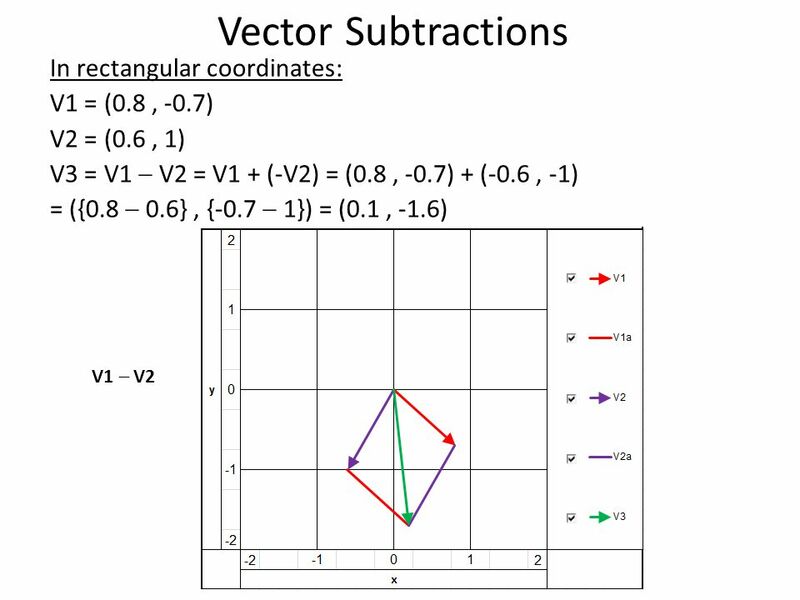 11.2 Geometric Representations of Complex Numbers. Copyright © Cengage Learning. All rights reserved. 10 Topics in Analytic Geometry. 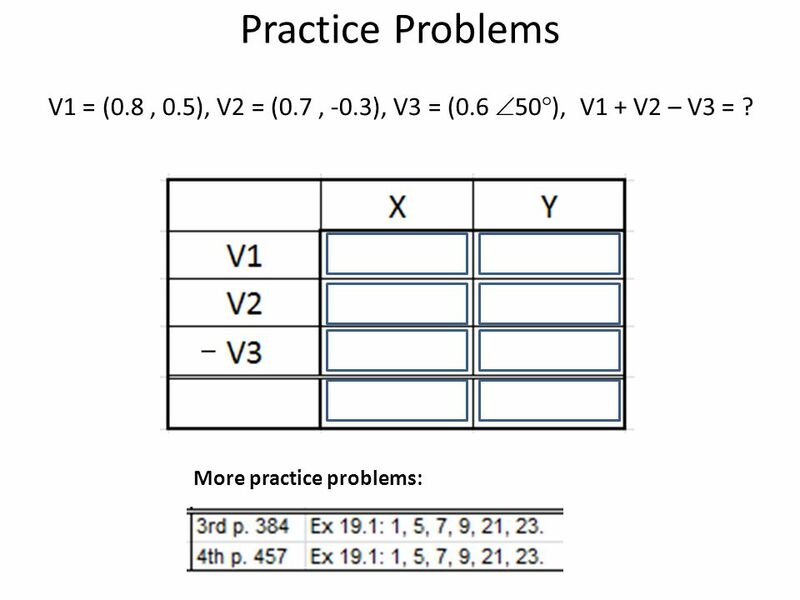 Addition and Subtraction of Vectors Lecture V1.1 Example 1 Moodle. 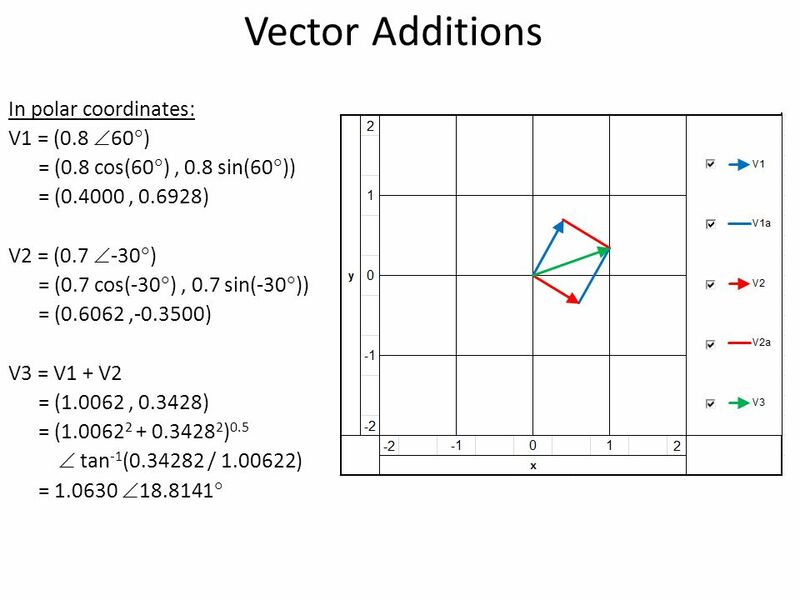 Vectors Sections 6.6. 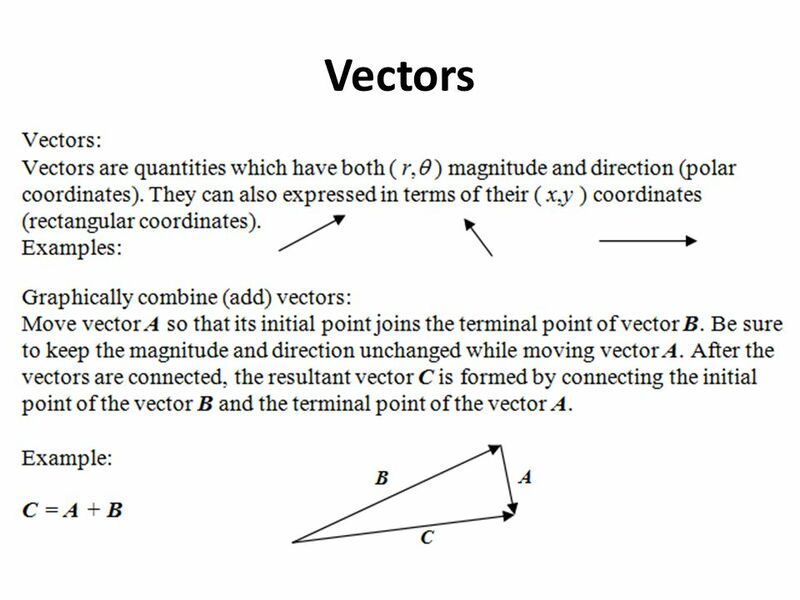 Objectives Rewrite a vector in rectangular coordinates (in terms of i and j) given the initial and terminal points of the vector. 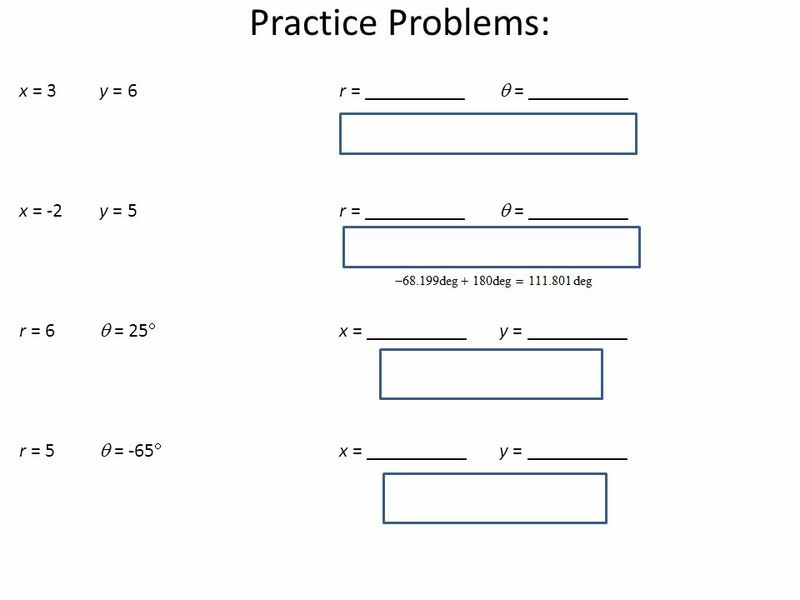 S p. 702: 1-19 odd, 25-29 odd, 37-47 odd. Rectangular (Cartesian) coordinates plot a point by moving left/right and up/down (making a rectangle)  Polar.